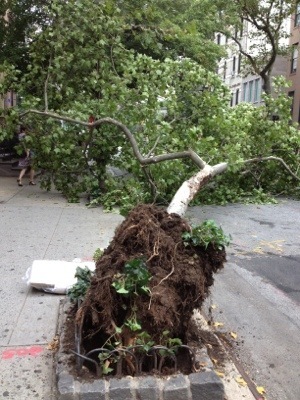 Tree down on 61st between Second and Third Avenues. Photo by DigiDame. The good thing about this was that people stopped to look at it, smile at each other and take turns taking pictures. 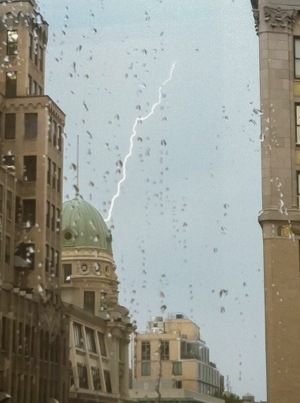 Next photo-Eliot Hess captures lightning in Flatiron District, NYC, on his iPhone during storm just the way pal Steve Greenberg told us all how to do it. Hold finger on camera shutter button till you see the lightning strike and then release immediately. 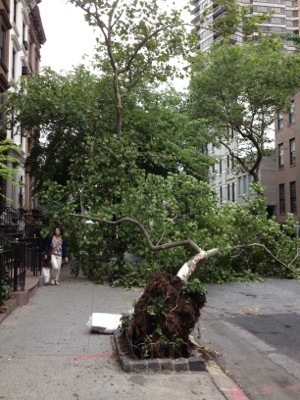 This entry was posted in digital, senior lifestyle, tech and tagged Hail, NYC by loiswhitman. Bookmark the permalink.